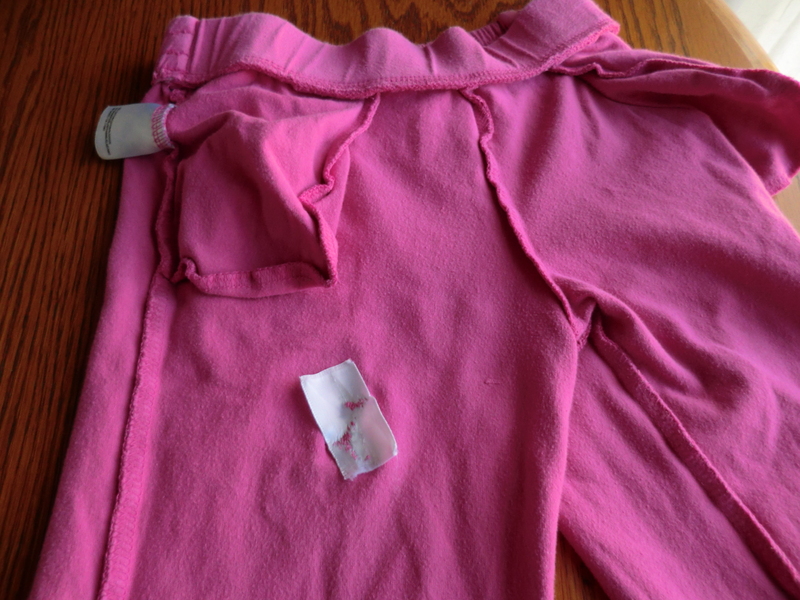 I was asked to mend a pair of Capri pants of my granddaughters that were made out of tee-shirt material. I pinned a piece of ribbon to the back side of the pants and stitched the rows back together, occasionally stitching it to the ribbon. Use a piece of ribbon inside. This helped keep it from puckering. 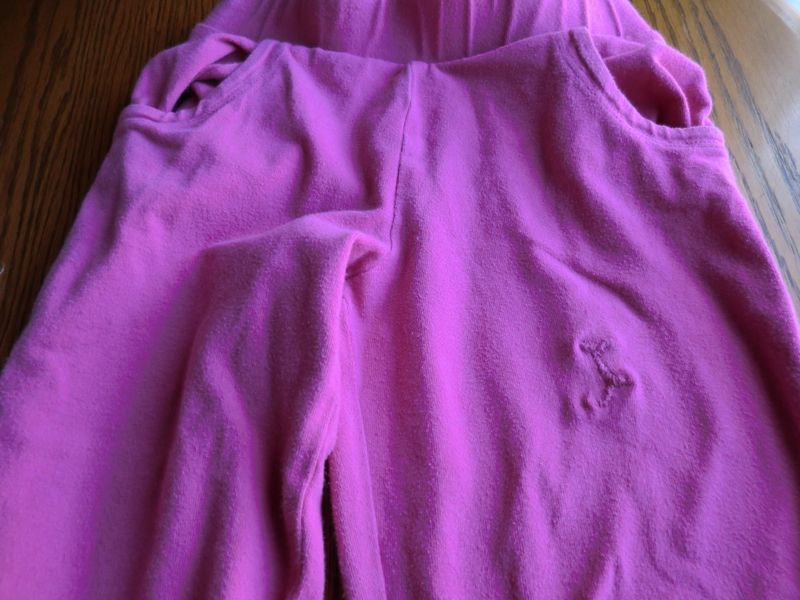 This entry was posted in Clothes, Maintain It, Repair and tagged Clothes, Maintain It, Repair It by Frugal Fish. Bookmark the permalink.